Dozens of families in a remote Yup’ik village in western Alaska were faced with the bleakest of Thanksgiving holidays. Earlier this month the people of Tuluksak went without power for over a week because of a power failure at the local electric utility. Since it’s been unseasonably warm, they couldn’t revert to “outside freezing” to preserve their food during the long power outage. By the time the state flew in an emergency generator, many residents had lost the salmon, moose, and groceries stored in their freezers—food that was stored to last through the winter. Out of the 90 families that live in the village, 62 reported a loss of food, totaling 11,000 pounds. The Alaska division of the Salvation Army, the Food Bank of Alaska, and Samaritan’s Purse learned of their plight and teamed up to help. “This is truly a good way to help give thanks,” said Luther Harrison, Vice President of North American Ministries for Samaritan’s Purse. 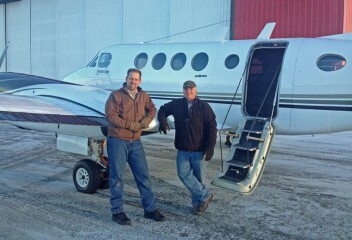 Samaritan’s Purse pilots Mike Barlow and John Erickson prepare to fly to Tuluksak. 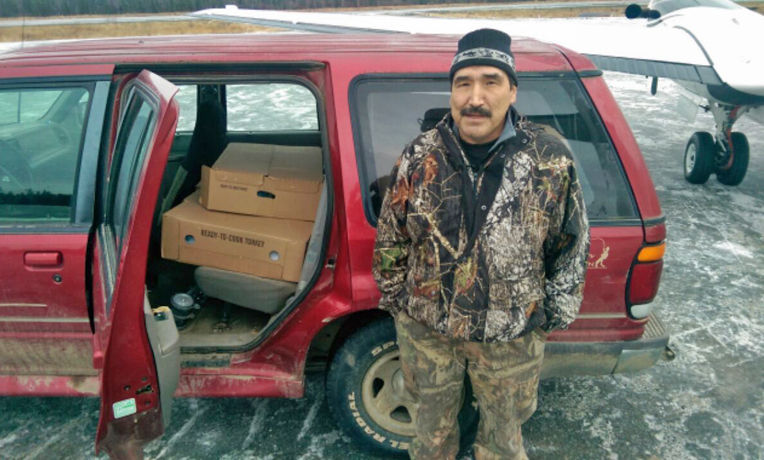 On Wednesday, Samaritan’s Purse flew out almost 600 pounds worth of turkeys to Tuluksak. The Samaritan’s Purse airplane was the only way to get the turkeys to the families in time for Thanksgiving. The flight, and the partnership between the three organizations, will allow families in Tuluksak to a great Thanksgiving celebration. The turkeys are ready to take flight. “We think this is a wonderful,” said Jenni Ragland of Salvation Army Alaska. “I call it a Thanksgiving miracle. All the things fell into place. 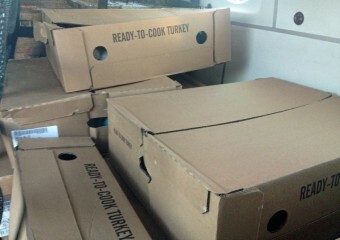 The food bank had extra turkeys that we could get from them. And Samaritan’s Purse came through and offered to interrupt their own holiday for the folks that are flying the turkeys up.